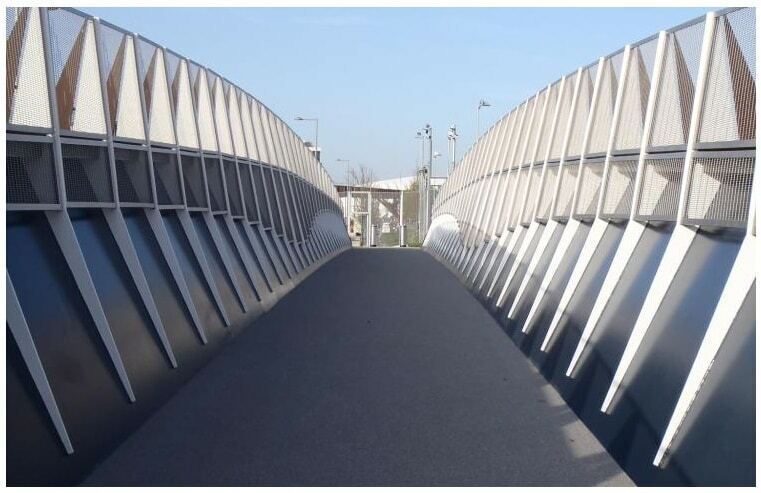 Bridge deck surfaces present a unique set of challenges that need to be addressed by any coating technology. Traffideck is a high-quality system designed for its anti-slip and anti-corrosion properties, making it ideal for bridges. It is resistant to typical motor traffic contaminants like fuel and lubricant oils, as well as chlorides. Applied in liquid phase either by hand or as a spray, Traffideck dries quickly and forms a hard-wearing, elastomeric, and waterproof membrane. Rapid curing is particularly useful in reducing disruption to traffic, and this is achieved without the use of volatile organic solvents. Traffideck is suitable for application to metal, concrete or wooden surfaces in single or multiple layers. This entry was posted in Bridges, Marine and tagged anti-slip, bridge, bridge surfacing, bridges, surfacing, thorgrip, traffideck. Bookmark the permalink.